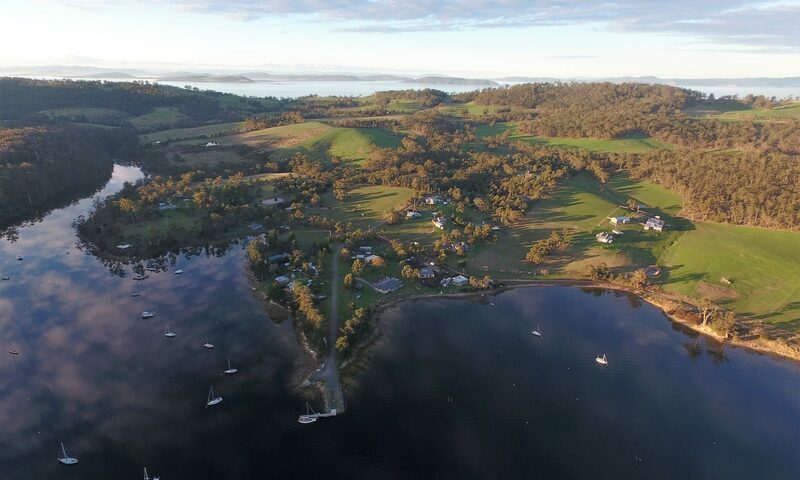 Earlier in the year I prepared and presented a discussion paper which proposed that we engage with the process of developing a Government sponsored Destination Action Plan (DAP) for Bruny along with BICA, BIPIG and the Friends of North Bruny. All of these groups participated actively in the process and argued strongly that the plan should focus on increasing the resilience and capacity of the local community and the Island’s environment to cope with rapidly increasing tourism numbers. The group responsible for DAP implementation agreed on those priorities and they were included in the final plan. BIEN provided significant input to the measures needed to achieve that. However, it soon became apparent that the DAP process was not designed to deliver concrete results (despite the sincere efforts of the DAP co-ordinator). BICA and BIEN after attempting to get better outcomes, publicly withdrew from the process in June. This has been a disappointing outcome as it was an attempt on our part to work with Government, Council and other community groups to achieve better environmental and community outcomes through the development process. Representatives of BICA and BIEN have concluded that community involvement was being used to legitimise the process. The DAP affair raises a fundamental question of our effectiveness and role. It is not the only matter on which we have provided input and tried to work with Government and Council, only to see those efforts largely ignored. The unfolding story of the Neck road and walking track upgrade has similar characteristics. We made submissions and provided input which specifically argued for a broader environmental focus (beyond penguins) and the need for a joint development and on ground management program involving Parks, State Growth and Council. That was agreed to in a meeting with State Growth and Council. Now all we have is the road and car park – minimal resourcing from Parks, no management program and the potential for increased environmental degradation with ever increasing numbers of visitors. Whilst this sounds negative and defeatist, I think it reflects the growing confidence in Government that environmental lobby or action groups can be ignored. This is reflected in a number of ways by all levels of Government. The State Government has introduced a planning regime that provides zero protection for most of the State’s important environmental areas, including all State owned land on Bruny. Has any one noticed that the Federal Government is about to further tighten rules on tax deductions for environmental groups? Council continues to avoid their responsibility to enforce planning conditions. This situation makes it much more difficult to define an effective role for groups such as BIEN. However, there is no evidence that the level of interest and involvement in environmental matters has lessened, and we have large numbers of individuals and communities who do see environmental issues as critical. Bruny is still promoted widely as a place with significant environmental attributes, and there is a strong interest among visitors in those attributes. I have given all of these things a lot of thought (usually at 3am) and have tried to observe what is happening elsewhere. I think it is pointing us in the direction of lowering our sights somewhat and trying to develop an approach built on shorter term more achievable and realistic results. We have been successful in some of these things in the past. Maybe it is time to go back and revisit an approach that highlights local issues and is built around activities to do with those issues. As we are no longer directly responsible for the Bird Festival and the fact that we have some resources we have an opportunity to pursue some different aims. Following the success of the 2016 Bird Festival, things have been relatively quiet. The festival consumed most of our efforts and resources in the months prior to the event. In particular Daniel Sprod’s hard work and dedication in his role as festival co-ordinator underpinned that success. It demonstrated clearly that the coordinator’s position is crucial to the success of the festival. Thanks are due once again to our partners Birdlife Tasmania and Inala and the wonderful volunteers who support the staging of this event. The 2016 festival also demonstrated that future festivals can be self sustaining. Accordingly, a joint management group consisting of Birdlife Tasmania, Inala, BIEN, Nick Mooney (Australian Raptors Association) and Sally Bryant (Tasmanian Land Conservancy) is in the process of being established. Cat Davidson has been appointed as the 2018 festival co-ordinator and planning is well advanced under the guidance of the wider group. BIEN will still continue to be closely involved but we can now give more attention to other environmental issues on Bruny. ✦ Liaison with Bruny Island School. The year has largely been one of continuing work begun in previous years. I want to thank the Committee and members for their support and work throughout the past 12 months. ✦ Ongoing shorebird protection – maybe we could also have community field days for residents and visitors and group activities to implement protective measures. Feedback from members and interested people is always welcomed: contact us here.